Easily collect registrations for conferences, conventions and seminars. 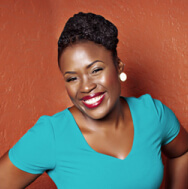 Design custom event websites, manage attendees and more. 24+ tools in all. Whatever kind of events you are planning - conferences, seminars, meetings or conventions - our conference registration system gives you all the tools you need in one convenient place. Set up online conference registration forms. Create conference websites to collect paid or free registrations. 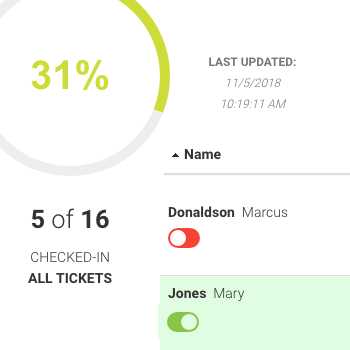 Manage your attendees and their details. Build custom floorplan layouts and seating charts. And much more. 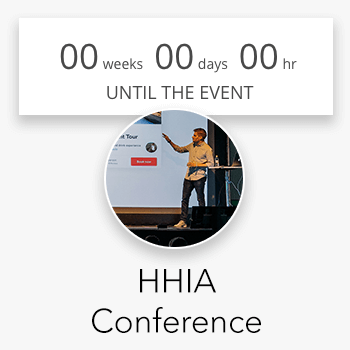 Within an hour, you can design a conference website and start attracting attendees to your event. With our intuitive drag-and-drop tools, no programing or web design experience is necessary. Quickly add image or gallery panels to highlight event features and key participants. Drop in schedules and location panels to direct attendees to your venues. Display videos you have posted on Vimeo or YouTube. Even add a clock that counts down the minutes until your event launches. And choose from a variety of fonts and a spectrum of colors to align with your event's design. 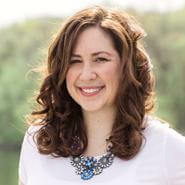 Included in our conference website builder are tools for growing your event's presence via social media. Social sharing features let you add "share" buttons to your site so your visitors can instantly post about your conference to Twitter, Facebook and LinkedIn. Add a social media panel to link to all your Facebook, Twitter, Linkedin, Pinterest and Google+ pages. Optimize your site for search engines and integrate with Google Analytics to track site traffic. We walk you step-by-step through setting up your registration forms so you don't miss a thing. Set up multiple ticket options (with pricing) and multiple time-sensitive offers per ticket (early bird, last minute, etc.). Create add-ons for products and spiffs. Enable group sales. Collect custom information for each attendee. Post your event's policies and terms. And much more. Our registration setup process integrates seamlessly into our conference registration website. However, you can also embed the form into another conference website if you want to collect registrations from an external site. 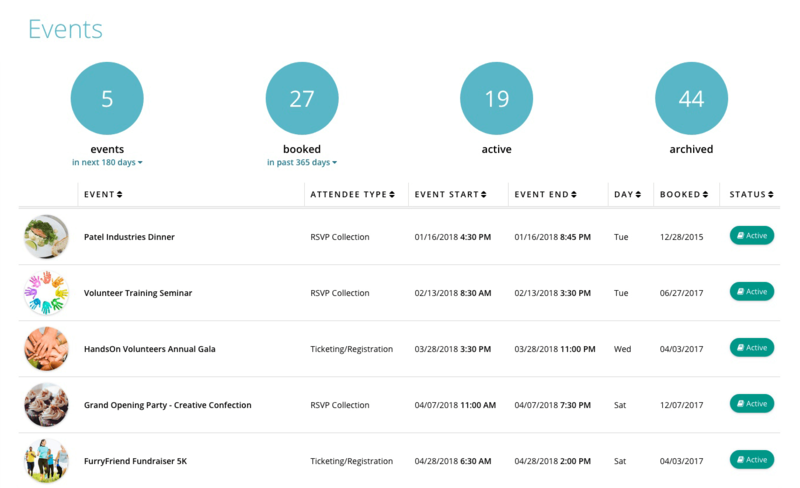 Once your attendees register, we provide an at-a-glance dashboard to view your revenues and attendee counts. Our attendee list tool gives you granular control over each attendee's information, including contact information and ticketing/registration details. Here you can manage registration transfers and refunds as well as things like meal choices. And when it comes to checking in registrants at the event, we have that covered, too. Our conference registration services include an event check-in app (compatible with tablets and smartphones) for checking in attendees at the door or your registration table. You can event accept on-site credit card payments. 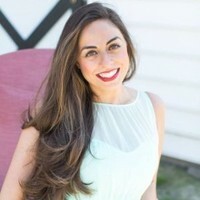 Planning Pod extends beyond conference registration websites to give you dozens of tools to streamline the entire event planning process. For example, you can build customized, to-scale event layouts for all your setups as well as seating arrangements by pulling attendees onto tables/chairs directly from your registration list. Other features include tools for managing schedules/itineraries, tasks, planning calendars, files, budgets and checklists. Easily collaborate with team members, share notes and messages, and brainstorm with online vision boards. Even create forms for collecting online input from stakeholders or feedback from attendees. 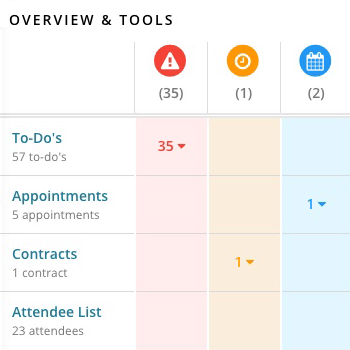 Thousands of event professionals and a wide variety of organizations - including small businesses, corporations, associations and charitable, social and religious organizations - rely on Planning Pod's conference management software every day. Here are just a few of the reasons why they prefer our tools. 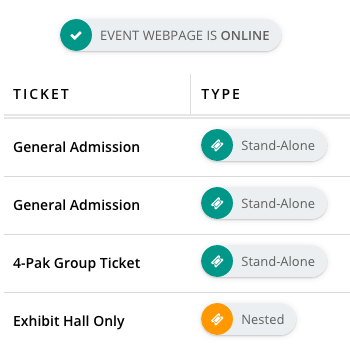 Build one or multiple tickets for each conference with pricing options, maximum quantities, descriptions, expirations, more. Effortlessly post your conference / convention registration form on the site you build in Planning Pod or embed it into another site. Collect and manage details for every registrant, including tickets/registrations, contact info, meal choices and more. Use our guest check-in app to check in attendees on site, plus have the option to accept registrations and payments at the door. Our conference websites are easy to view and navigate on all mobile devices - including iPhones, iPads, Android and Windows devices. Collect information from attendees at the time of registration, including meal choices and answers to customer questions. Easily add customized title tags and meta descriptions to your conference websites to improve your visibility with search engines. Add one or more locations (and location details) associated with your event and a Google map of the location will display on the site. Display a schedule/program timeline of your event and also a countdown clock ticking off the minutes until your conference kicks off. Choose from a number of Web-friendly fonts and a rainbow of colors so your conference website design matches your event theme. Track your website traffic by syncing your Planning Pod site to your Google Analytics account.